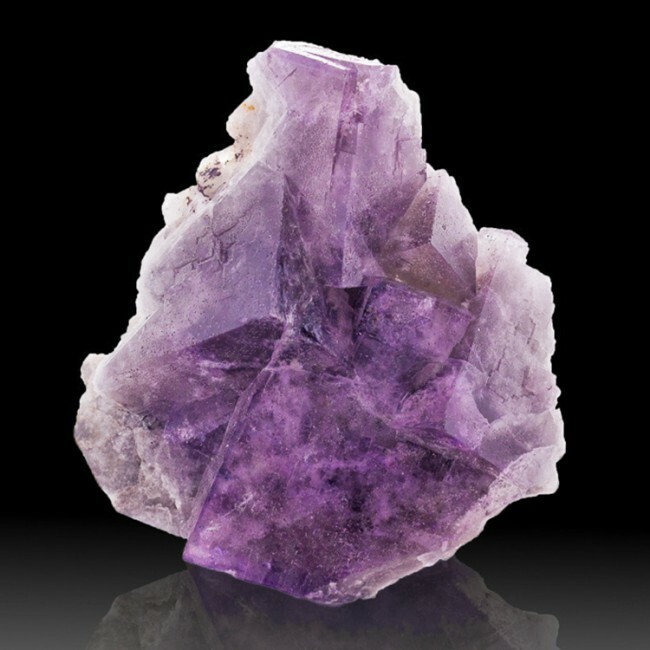 Size 2.7" x 2.4" x 1.3"
This is a fine specimen of the recently mined purple fluorite from the Greenlaws Mine, located not far from the Rogerly Mine in Durham. 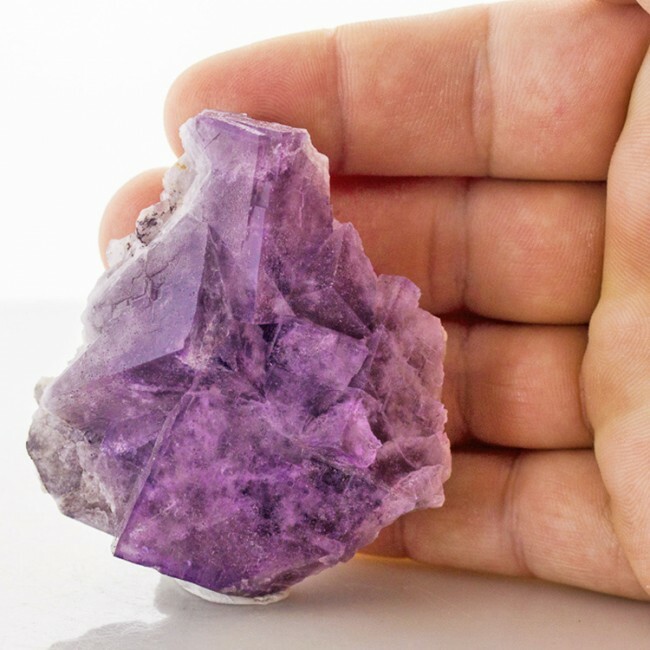 The crystals on the piece are up to 1.5" wide, and they are very sharp and have a glassy luster, with razor sharp edges and crisp corners that really stand out. 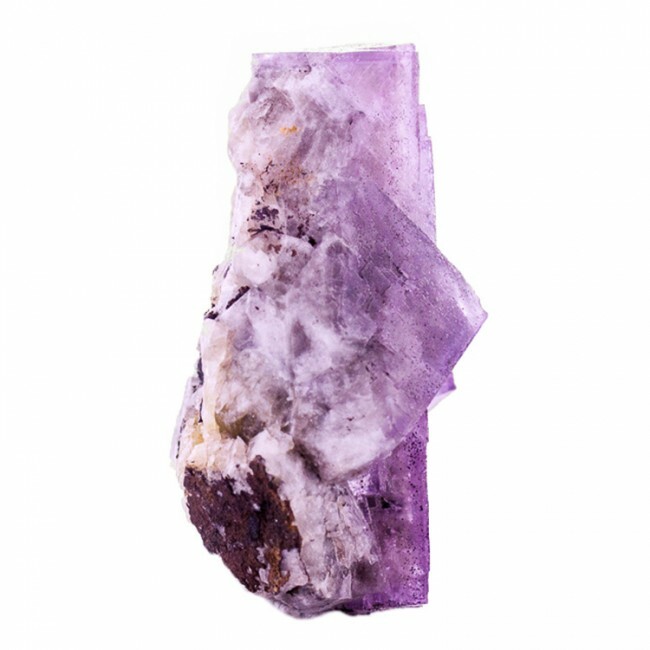 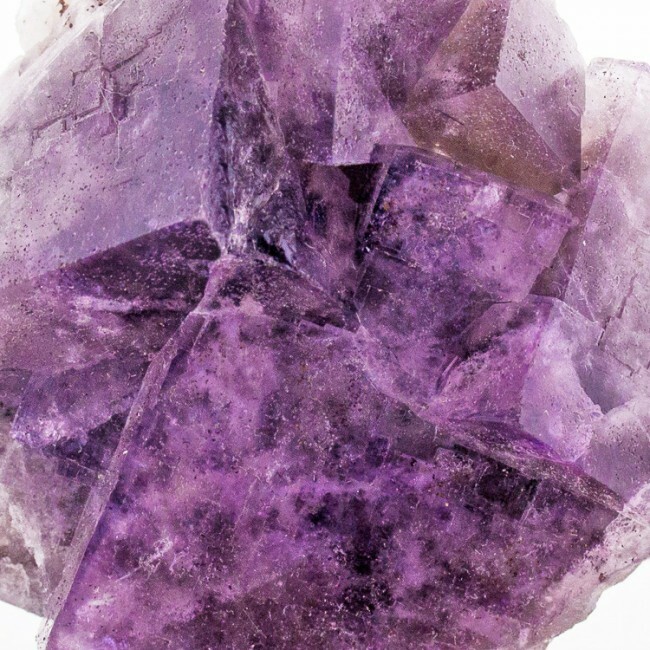 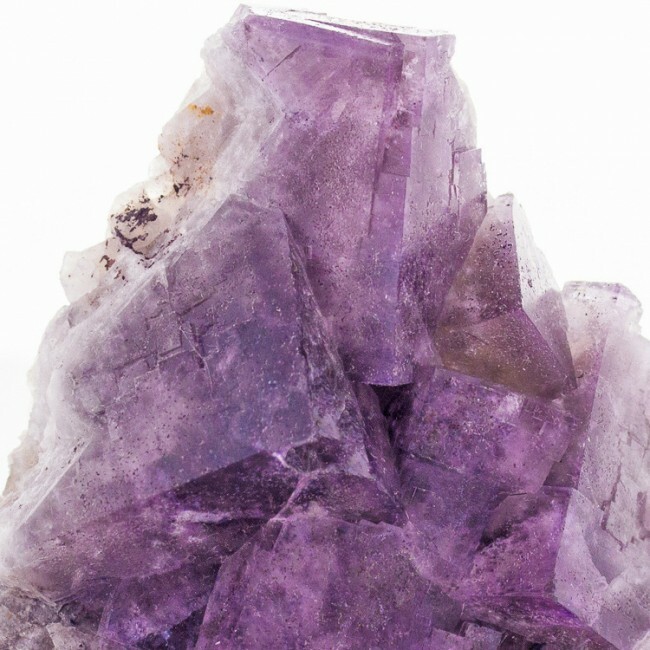 The crystals are translucent to opaque, due to gas bubble inclusions, and are colored a nice plum purple. 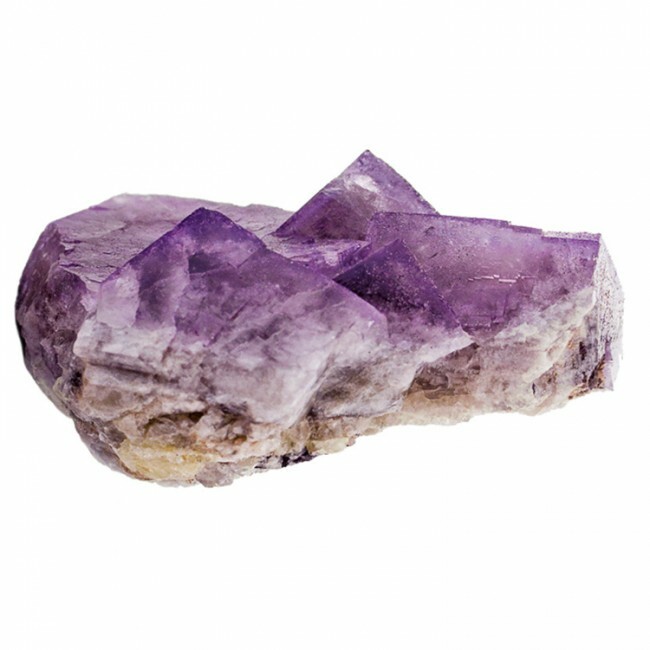 There is no damage on this fine example of the material found in this mine.